Happy Sunday! ... Wait, it's actually Monday today. This is what happens when I get a three day weekend, I get confused on what day it really is. Anyways, yesterday my friend and I went downtown and took a couple pictures of our outfits. So here is me sharing mine! 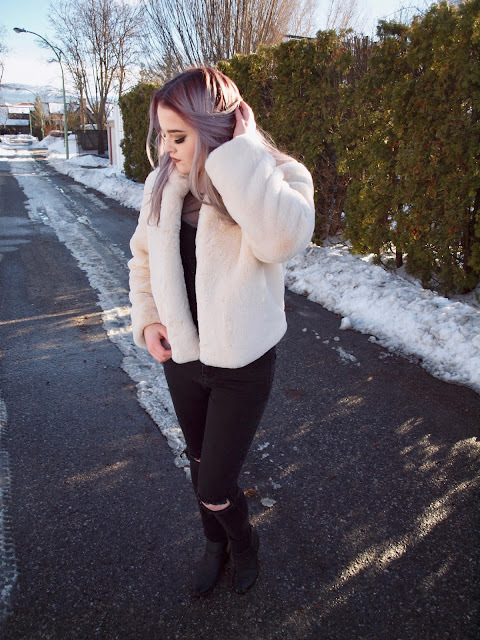 Love the fur coat and your hair is amazing. Oooh I adore your hair colour! 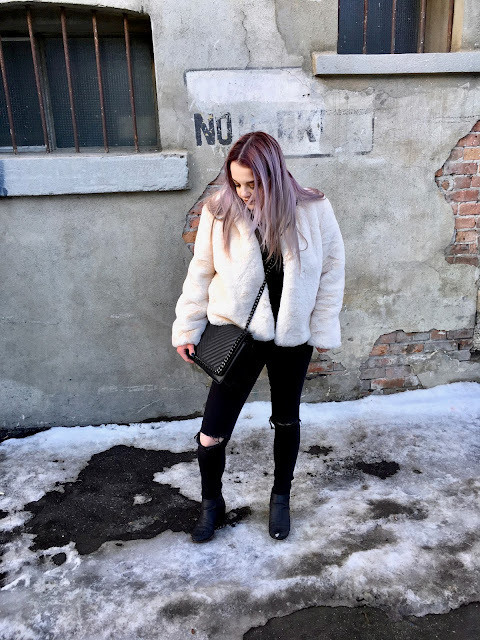 That fur coat looks amazing on you and looks perfect against your hair! 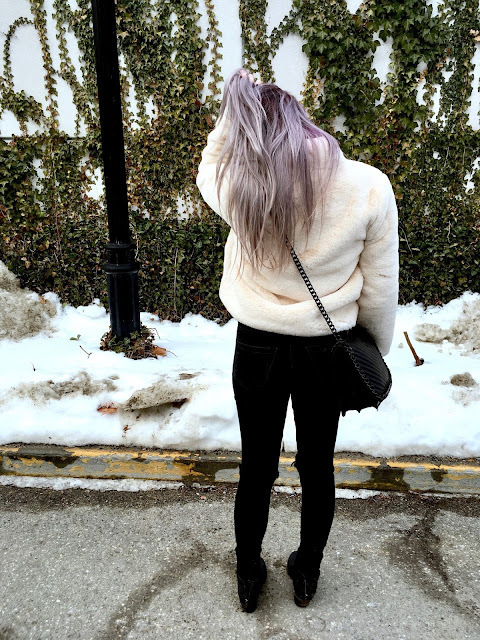 This coat is so plush! And it looks so with your hair! That fur coat looks gorgeous on you! 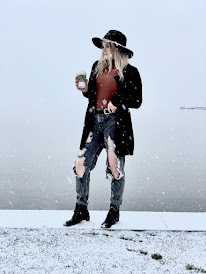 Just found your blog and I absolutely love it! So chic- and I bet it's warm, too!